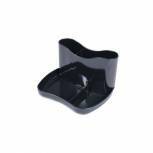 Q-Connect Desk Tidy Black MPTUBKPBLK Pack of 1 Q-Connect Desk Tidy. Attractive and durable six-compartment desk tidy keeps everything in its place, reducing clutter on your desk top and making everyday items easier to find. Colour - Black. 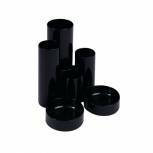 Q-Connect Mesh Pen Pot Black KF00864 Pack of 1 Q-Connect Mesh Pen Pot. 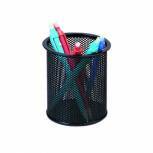 Pen pot for pens, pencils, highlighters and rulers. W105 x D70 x H105mm. Colour: Black. 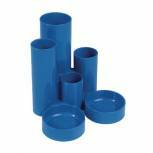 Q-Connect Desk Tidy Blue MPTUBKPBLU Pack of 1 Q-Connect Desk Tidy. 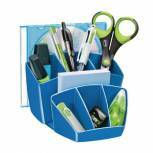 Attractive and durable six-compartment desk tidy keeps everything in its place, reducing clutter on your desk top and making everyday items easier to find. Colour - Blue. Q-Connect Mesh Pen Pot Silver KF00846 Pack of 1 Q-Connect Mesh Pen Pot. 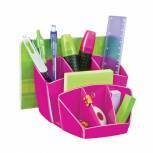 Pen pot for pens, pencils, highlighters and rulers. W86 x D86 x H105mm. Colour: Silver. 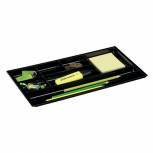 Q-Connect Executive Desk Tidy Black KF21704 Pack of 1 Q-Connect Executive Pen Tidy. 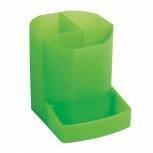 Attractive and durable desk tidy keeps everything in its place, reducing clutter on your desk top and making everyday items easier to find. Colour - Black. 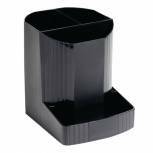 Q-Connect Executive Pen Pot Black KF21696 Pack of 1 Q-Connect Executive Pen Pot. Neatly styled pen tidy. Colour - Black. 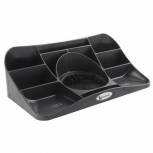 Durable Desk Drawer Organiser Black 1712004058 Pack of 1 Durable Desk Drawer Organiser with multiple compartments provides the perfect solution to store desk accessories. W240 x D340 x H36mm. Colour - Black. 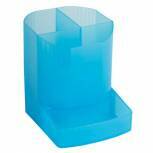 CEP Pro Gloss Desk Tidy Blue 580GBLUE Pack of 1 CEP ProGloss Desk Tidy Blue 580G Ingeniously designed it enables you to assemble and arrange all your office accessories. Shock-resistant polystyrene, glossy and durable. W143 x D158 x H93mm. 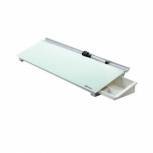 Nobo Diamond Glass Personal Desktop Panel 1905174 Pack of 1 Stylish and easy to clean, the Nobo Diamond Personal Desktop Panel has a tempered safety glass surface suitable for frequent use due to its ultra-erasability and the highest resistance to ink stains, pen marks, scratches and dents. Includes FREE Matador Stapler (assorted pastel colours). 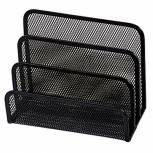 Q-Connect Mesh Letter Sorter Black KF00876 Pack of 1 Q-Connect Mesh Letter Sorter. 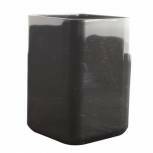 Ideal for storing letters, envelopes and compliment slips. W145 x D900 x H180mm. Colour: Black. 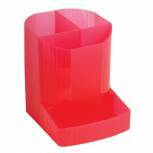 Q-Connect Desk Tidy Red MPTUBKPRED Pack of 1 Q-Connect Desk Tidy. Attractive and durable six-compartment desk tidy keeps everything in its place, reducing clutter on your desk top and making everyday items easier to find. Colour - Red. 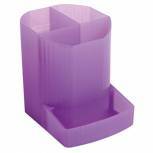 CEP Pro Gloss Pink Desk Tidy 580GPINK Pack of 1 CEP ProGloss Desk Tidy Pink 580G Ingeniously designed it enables you to assemble and arrange all your office accessories. Shock-resistant polystyrene glossy and durable. W143 x D158 x H93mm. 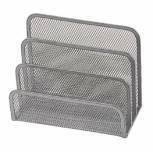 Q-Connect Mesh Letter Sorter Silver KF00852 Pack of 1 Q-Connect Mesh Letter Sorter. 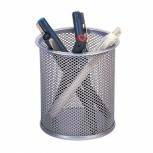 Ideal for storing letters, envelopes and compliment slips. W145 x D900 x H180mm. Colour: Silver.